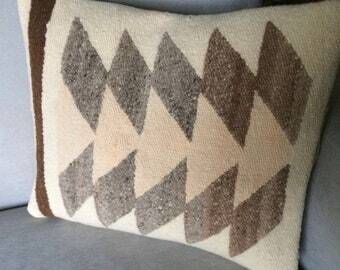 Have always wanted to weave this design and I finally found the time. Two in mostly black with turquoise Greek key design. 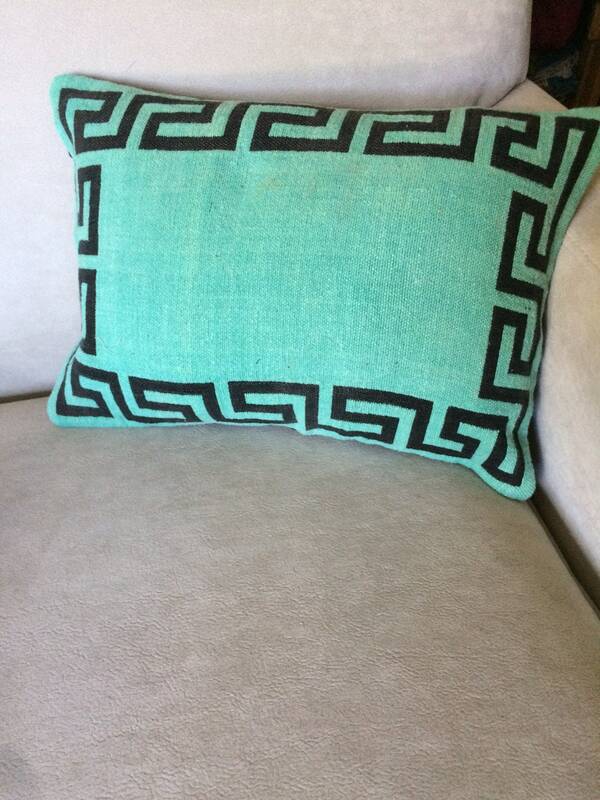 Two in turquoise with black Greek key design. Different dye baths for the turquoise cotton so the color various just a touch between the two pillows. Turquoise and black, using natural dyes, handwoven using organic cotton. Overlapping back cotton on the back so the insert can easily be removed and the cover washed. 15" long, 10.5 inches across and sits 5" high. If ordering the black with turquoise, select black at checkout. If ordering the turquoise with black, order blue at checkout. Women's or Men's Woven Scarf. Off White 100% Organic Cotton.